The Blandelles-Rock and Roll the Way You Remember It! When you think of oldies Rock and Roll, think of the Blandelles! 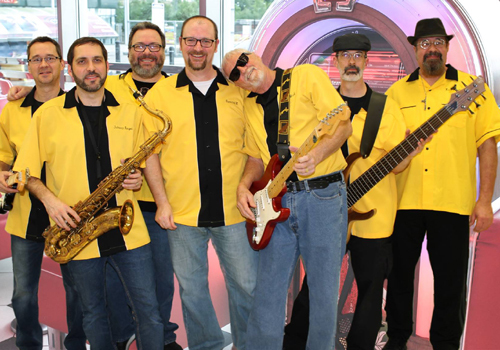 Their act is perfect for corporate parties or club dances, civic celebrations or fund raisers, birthdays, anniversaries or receptions--any time you want nostalgic, fun and exciting entertainment that brings everyone out to the dance floor. And keeps them there! Copyright © 2019 The Blandelles.